The Independent Smallholders Standard (ISS) released by Fair Trade USA (FTUSA) is shot through with acronyms — 35 by my count. 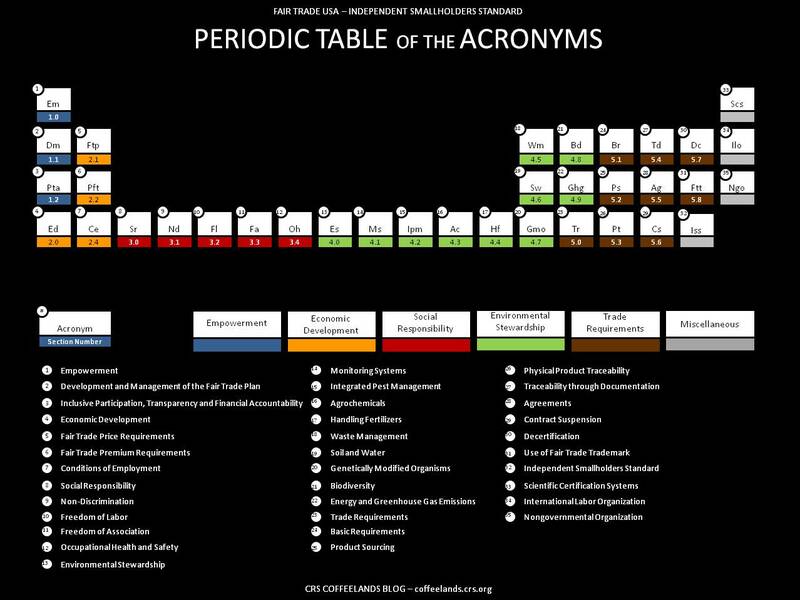 This periodic table of the acronyms is an essential companion to the Standard. Read other posts related to the FTUSA Independent Smallholders Standard.